It is no surprise that I love a good read aloud. 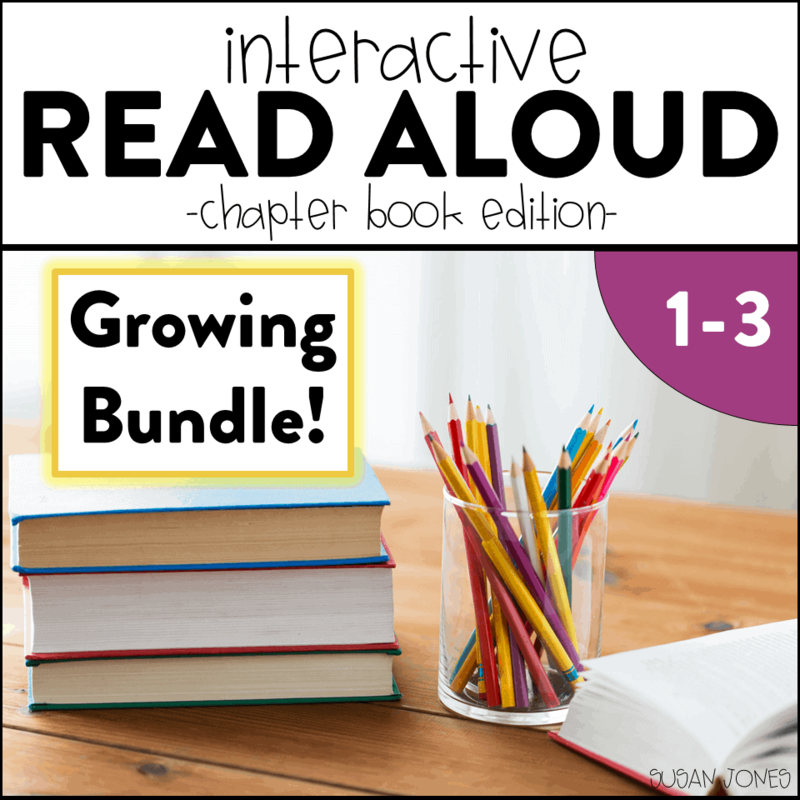 I have written numerous posts about why I love interactive read alouds and spent years finding the perfect picture books to use to teach different skills in my primary classroom. 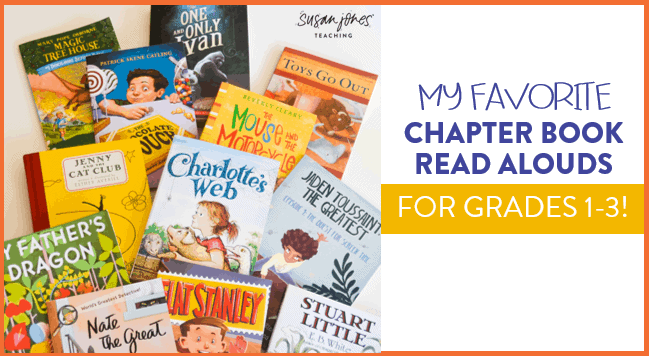 It wasn’t until later that I began to dive into some of our favorite chapter books! 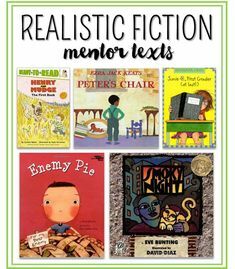 I am excited to share with you some of my all time favorite read aloud chapter books for grades 1-3. 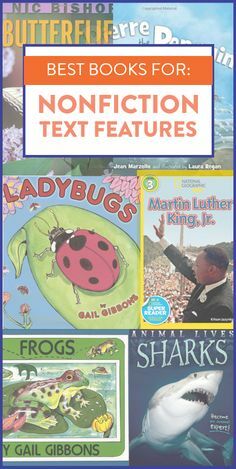 I should mention that when I am finding the “best” chapter books for grades 1-3 that means I have read and re-read them all many times, used them in my classroom (either in small group or whole group) and I have gone ahead and made read aloud lessons and activities for EACH of these books because I think they are just that amazing. You can read a brief snyopsis of each book below and why I like it for my students. This classic is about a young boy named Elmer who travels to a forbidden island to save an abused dragon. My students love to follow along Elmer’s journey of fantasy as they try to guess how he will outsmart each dangerous animal he comes across! When reading this book aloud, we talk a lot about problems and solutions and discuss character traits as we decide what type of charater Elmer is. Geared towards the younger grades, my students think that Mercy Watson is just oh-so-hilarious! Mercy Watson is a character in a whole series of books, but in her first adventure she saves the day quite accidentally as she searches all over for more yummy toast. When we read this colorful book, I like to talk about cause and effect as well as comparing the characters we read about. This book follows along the story of John Midas who loves chocolate so much that one day everything he touches turns to chocolate! Sound familiar?! My younger students love the fantasy aspect of everything turning to chocolate while my older students love to learn about “The Midas Touch” and compare notes! While I read this story we focus on theme and character changes. This fun story is about three toys, Lumphy, StingRay, and Plastic and their interactions with their owner. Each chapter is from a different toy’s perspective and my students love getting to imagine what their toys might do while they are away. As I read this story aloud, we spend a lot of time comparing the characters and discussing point of view. 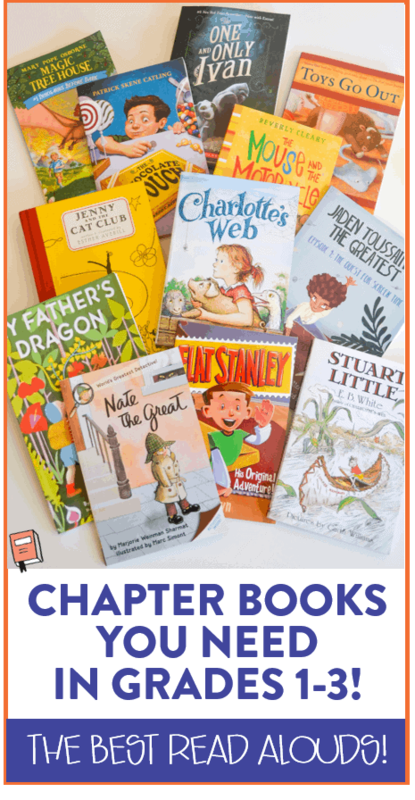 Can you even make a “best chapter books” list and NOT include Charlotte’s Web?! I don’t think so. It’s a classic and for good reason! 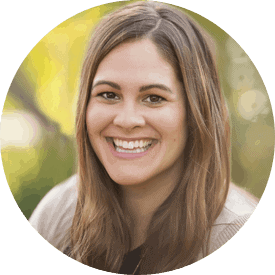 This touching story will have your students asking meaningful questions about friendship and the meaning of life. We spend a lot of time focusing on the main characters in this story and talking about how they act and how they feel throughout different events. There are also a ton of great vocabulary words to pull from this book. This collection of short stories was a new one to me up until a few months ago! The short stories follow around a little black cat named Jenny as she tries to make friends and questions what she is good at. My students easily related to Jenny throughout her adventures and each story had a clear problem and solution for us to discuss. 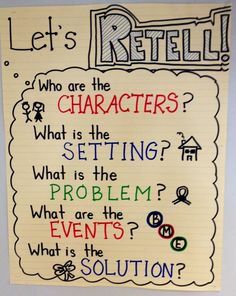 We also love to dive deeper and find the lesson we learn in each short story. Who doesn’t love a good character and animal friendship?! This fun story about Ralph, a fiesty little mouse who lives in a hotel and becomes friends with a boy named Keith, is a fun filled adventure! Ralph is an adventurer by heart and Keith lets him explore and watches Ralph “grow up” right before his eyes. As we read this story we draw comparisons between our two main characters and talk about the different problems and their solutions as they arise in the story. Jaden Toussaint (book 1) is about a very bright kindergartner named Jaden who gets to use his dad’s phone and becomes hooked on technology. He desperately wants more screen time and tries different ways to get it. This new series was recently published (2015) and I find that SO many of my students can relate to young Jaden and his quest for screen time. This story is written in a graphically appealing way with fun illustrations and labels that help us learn more about Jaden and his family. There are a ton of good vocabulary words in this book and students are excited to see if Jaden is successful in his quest! As we read, we focus on retelling, comparing ourselves to the main character and his character traits. 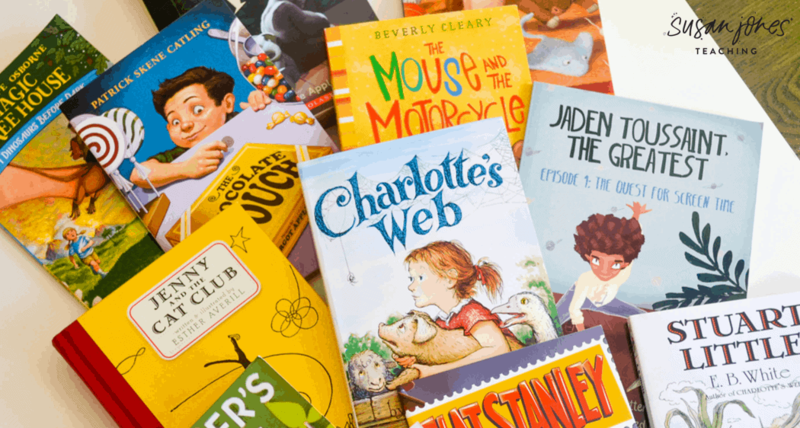 A popular choice by 2nd and 3rd graders, the books in this series provide fun, fantasy adventures while also providing factual information in each place Jack and Annie travel to. In the first book, Dinosaurs Before Dark, Jack and Annie first find out about their magic treehouse and experience an adventure back to the time of the dinosaurs. When we read this book we talk a lot about the differences between Jack and Annie as characters and we see who we relate to more. Stanley Lambchop is a young boy who has a bulletin board fall on top of him. No worries, he’s not hurt! Instead he has become flattened. Students love listening to the new and exciting things Flat Stanley can do with his body. They also love to see how he saves the day and becomes a hero. As we read this story we focus on character development and problem solving. Here is another EB White classic! Stuart is a mouse who lives in New York City and while he is shy, he loves adventure. In this story we get to read about Stuart’s first adventure away from his home to see if he finds his friend, Margalo. As I read this story, I like to compare Stuart to Ralph from The Mouse and the Motorcycle. We also spend a good amount of time visualizing what I read aloud and comparing with classmates. This little mystery follows around Nate the Great as he helps his friend, Annie, find her missing picture. My students have always loved a little mystery read aloud. This book fills that need for questioning, make predictions, and having a fun time listening to a story! Geared towards my older students, this poignant novel talks about animal abuse through the eyes of Ivan, the gorilla. He lives what he thinks is a wonderful life at the mall behind glass doors all day. It isn’t until he meets a new friend, Ruby, that he starts to question where he is living and if it is best for him and the other animals. Ivan decides to make a change for the better. This is a beautiful story that students really feel when I read it aloud to them. The vocabulary can be difficult but it does not take away from the meaning and message in this book. You can also download a completely FREE lesson to see the format by clicking the link in the preview above!